A stunning diamond centre colour G and VS2 clarity – pictured with a 0.33ct centre. The diamonds in the hidden panel are colour G and VS clarity. The table below shows the options of centre stone weights with corresponding total weight of stones in the pave panel. Available in a host of gemstones including diamond, coloured diamond, sapphire and ruby, and in platinum or 18ct white, rose or yellow gold settings. 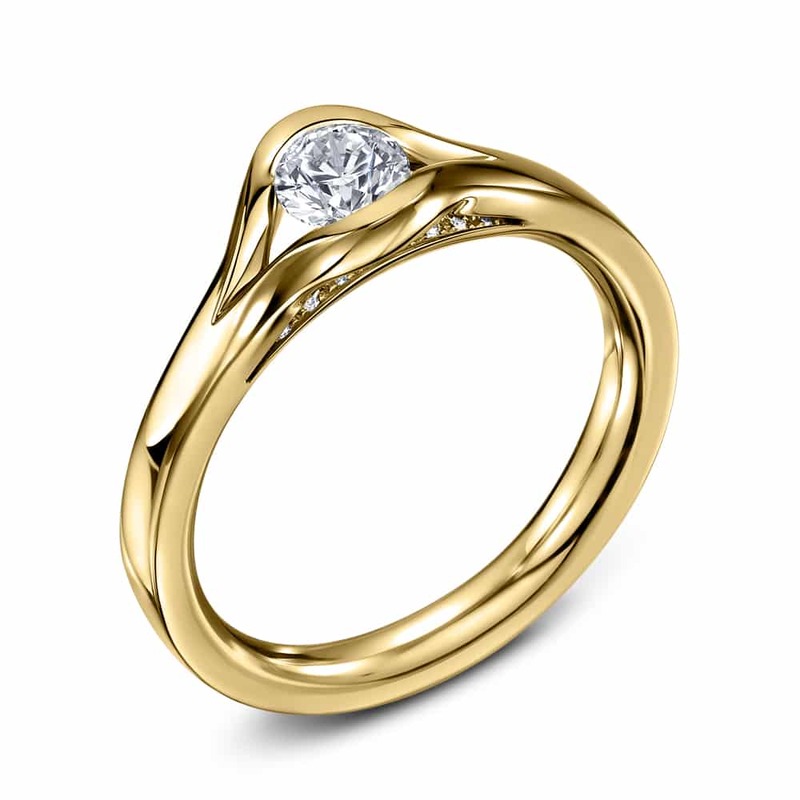 The REveal is also available to buy with a matching wedding band..